Irish whiskey brand Jameson sales are up 15 percent world wide during the last year, the fastest rate of growth for the brand in 10 years. 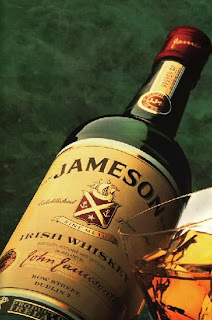 Jameson is distilled in Midleton, County Cork, by Irish Distillers, which is controlled by France's Pernod Ricard. The company sold 2.6 million cases of Jameson in the period ending June 30th. In the United States sales of Jameson were up by 24 percent. Growth in Russia (36 percent) and eastern Europe (37 percent) was fueled by a major advertising campaign.